Gov. 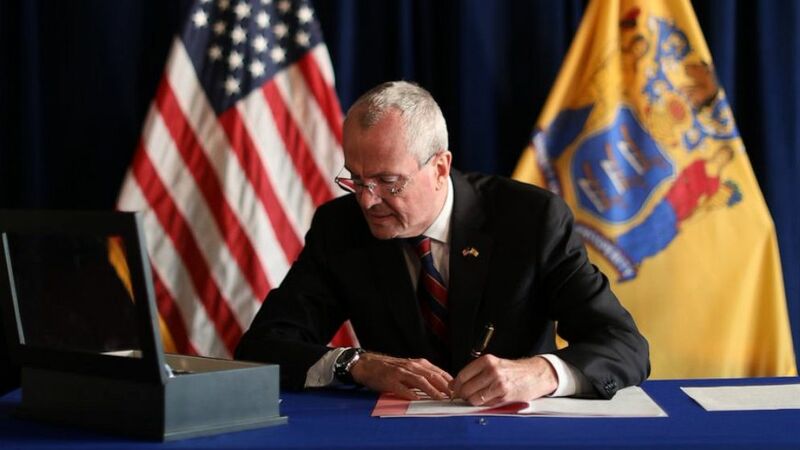 Phil Murphy signed the Medical Aid in Dying for the Terminally Ill Act on Friday, which will allow "New Jersey adults to end their lives peacefully, with dignity, and at their own discretion," according to a press release from the governor's office. The law will go into effect on Aug. 1. Dan Diaz, the husband of Brittany Maynard, an advocate for right-to-die laws who ended her own in 2014 at the age of 29 after moving from California to Oregon, thanked New Jersey lawmakers for passing the law "without excessive regulations that would prevent dying New Jerseyans from using this option." "My wife Brittany Maynard spoke up so terminally ill New Jerseyans in her predicament would not have to leave their home like we did just to secure the option of a gentle dying process," Diaz said in a statement.